Edward Cullen from the Twilight series is likely to be the answer to that question. The only other fictional character, who has been compared to Edward Cullen, and perhaps preferred by the older fans is none other than Mr. Darcy from Jane Austen’s famous Pride & Prejudice. How do you top a handsome, wealthy, yet snooty-at-first English gentleman (or perhaps, how do you top a character played by Colin Firth)? For the longest time no one could, thanks to the genius of Jane Austen. Jane Austen (1775 – 1817) was the original chick lit writer, one of the great literary geniuses of her time, even if she didn’t know it then. And if she did, she was supposedly very modest about it. When her books came out, they generally got good reviews; however, there were some 19th century book critics who claimed to prefer Charles Dickens’ works instead. Perhaps it was because when they were published, the author’s name was simply “A Lady”, seeing as women weren’t taken seriously as authors then. Or as lawyers. Or, really, as anything other than people whose job it was to take care of children. Despite that, the Prince Regent, George IV of England, and his daughter, were fans. He kept a set of Austen’s books in each of his residences, Austen found out about that when she was invited to visit the Prince’s London residence in November 1815. While she was there, the librarian hinted that Austen should dedicate the forthcoming Emma to the Prince Regent. She disliked the Prince, but what could she do? She could hardly refuse that request. 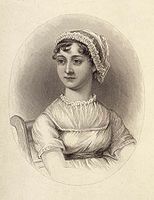 But before her fame grew and her books garnered admiration, she had a very interesting relationship that perhaps gave her inspiration for Pride & Prejudice. Jane Austen’s background is a humble one. Her father served as a rector of the Anglican parishes at Steventon, Hampshire, which is where the Austen family – which consisted of James, George, Edward, Henry, Francis, Charles, Cassandra, her only sister and closest confident, her father (George) and her mother (Cassandra) resided. Money was scarce, and Austen’s father provided the money by farming and teaching two or three boys who at the time boarded in their home. When Austen was twenty-one, one of the neighbor’s nephew came for a visit. His name was Thomas Langlois Lefroy (8 January 1776 – 4 May 1869) – but he was simply called Tom Lefroy. 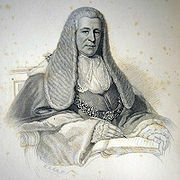 He was training as a barrister in London, under his uncle who was a high court judge. Their relationship is explored in the 2007 film Becoming Jane starring Anne Hathaway and James McAvoy. Tom and Jane were very close and as one of her letters to Cassandra said “I am almost afraid to tell you how my Irish friend and I behaved. Imagine to yourself everything most profligate and shocking in the way of dancing and sitting down together”. It was December 1795 and Austen was working on Elinor & Marianne, later renamed Sense & Sensibility, her first full length novel. It was in the form of letters from one person to another. Though Tom and Jane may have fallen in love, marriage was impractical, for she had no money and he depended on his uncle’s allowance, most of which he sent to his large family of ten siblings plus his mother and father. Tom Lefroy left in January 1796 and Austen never saw him again. Around that time, Austen began working on First Impressions, later renamed Pride & Prejudice; Tom Lefroy is likely to have been the inspiration for Mr. Darcy. The first draft of First Impressions was completed in August 1797, all of Austen’s works were read in front of her family, and this soon became a favourite. It was when First Impressions was completed that her father made the first attempt to publish one of Austen’s novels. In November 1797, George Austen wrote to Thomas Cadell, an established publisher in London. He asked if Cadell would consider publishing “a Manuscript Novel, comprised in three Vols. about the length of Miss Burney’s Evelina”. Cadell quickly returned the letter marked “Declined by Return of Post”. Austen may not have known of her father’s efforts. After First Impressions was completed, Austen returned to Elinor and Marianne from November 1797 until mid-1798, revising it heavily and decided to do away with the letter format, going with third person narration instead. After it had been completed in 1798, Austen started on Susan, later renamed Northanger Abbey, which she completed a year later. In 1803, Henry Austen offered Susan to Crosby, a publisher in London for £10. Crosby bought the copyright and despite promises of early publication, did nothing with it until 1816, when Jane bought it back from him for the price at which it was sold. In December 1800, Rev. Austen announced his unexpected decision to retire from the ministry, leave Stevenson and move the family to Bath. While the older Austens were okay with the move, Jane was shocked to leave the only home she’d ever known. This move affected her productivity as a writer, for in all the time that she was in Bath she made some revisions to Susan, and started, but never completed The Watsons. In 1804 while still in Bath, Austen received her only marriage proposal from Harris Bigg-Wither. She and Cassandra were visiting their old friends Alethea and Catherine Bigg, and their brother Harris had just finished his education in Oxford and was also at home. As described by Caroline Austen, Jane’s niece, and Reginald Bigg-Wither, a descendant, Harris was not attractive – he was a large, plain-looking man who spoke little, stuttered when he did speak, was aggressive in conversation, and almost completely tactless. However, Austen had known him since childhood, and their marriage would offer security for her and her family as he was heir to an extensive family estate. And so she accepted. But by the next morning, Austen realized that she had made a mistake – perhaps it was that she did not love him; and withdrew her acceptance. Austen biographers Claire Tomalin and Park Honan agree that perhaps the reason Austen stopped work on The Watsons is because of her father’s death in 21 January 1805. Her father had gotten seriously ill suddenly and he died quickly. Jane, Cassandra and their mother were now in a tough financial situation. Though Edward, James, Henry, and Francis Austen pledged to make annual contributions to their mother’s and sisters’ welfare, the Austen women’s living arrangements reflected their financial situation. For a while they lived in rented quarters in Bath, and then starting 1806 they lived with the newlywed Frank Austen and his wife in Southampton. 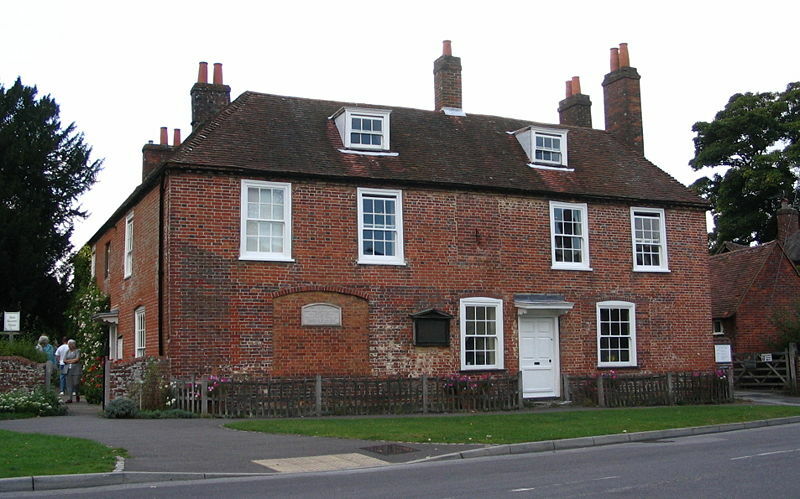 Then in 1809, Edward offered Chawton Cottage to the Austen ladies. Jane lived there until she died. Henry and Cassandra later published Northanger Abbey and Persuasion in December 1817. Henry contributed a biographical notice, for the first time identifying his sister as the author. Sales were good for a year, but then at 1820, when all copies had been sold, Jane Austen’s novels went out of print for 12 years. Then in October 1833, Bentley published the first collected edition of Austen’s works, and her books have been in constant print since then.